The Chung Mei Temple is one of our favorite places. It has a lovely tea room and a garden that is sure to bring a smile to the face. Chung Mei Sculpture garden has something for everyone. A big THANK YOU to Mary for being our hostess for Mosaic Monday. We had a long and busy week last week. Lots of family and colleagues of Mr. Dragon were here to share memories and say their goodbyes. Sad, but lots of happiness too. Today and this week we rest ... just the two of us with the furbabies. DD (dear daughter) and Mr. Dragon's sister will be with us the following week. Thank you for your loving support and kindness. Wishing all of you well and a JOY filled week. 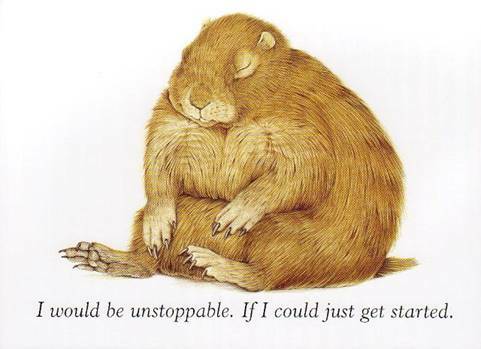 This postcard is also the cover art for the book. "Art Pottery is the term applied to ceramics made primarily for decorative purposes. 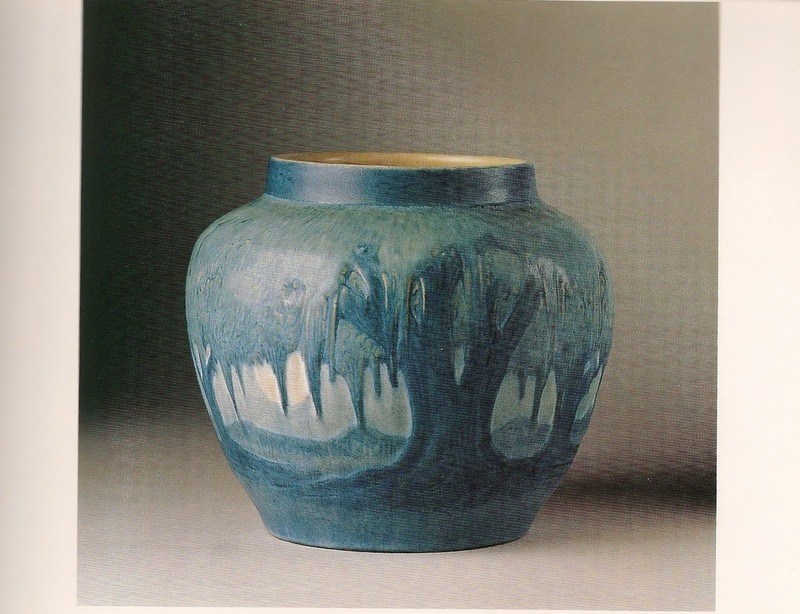 The American Art pottery movement flowered in the late 19th and early 20th centuries as an aspect of the international arts and crafts movement associated with the artist and designer William Morris. Respected in its own time for its quality and beauty, and now avidly sought by collectors, American Art Pottery is prized not only for its technical and artistic virtuosity, but also for it's historical association with with traditional values of craftsmanship, honest labor and the aesthetic enrichment of the daily lives of ordinary people." The students and graduates worked with designs evocative of the American South, inspired by Louisiana flora and crafted from local and regional clay. As the 20th century opened before them, some students moved towards developing more modern designs, yet still maintained the philosophy that no two pieces of pottery should be alike." More information on Newcomb Pottery can be found here. Thank you to Beth for hosting Postcard Friendship Friday. I had no plans to go on another virtual shopping trip. When the Old Durham Road catalog arrived in the mail I was going to file it directly in recycling. 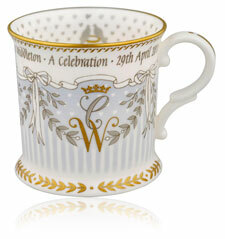 The first of the royal wedding china for Will and Kate. Opening the catalog led to finding several lovely tea sets. One is the nautical looking Captain's Tea Service. The East India Tea Company was chartered by Queen Elizabeth in 1600 and the ship's captain tea service would have looked much like this lovely blue and white. This official range of china commemorates the golden age of Queen Victoria (1819-1901) from the Royal Collection. The design takes its inspiration from English bone china commissioned by Queen Victoria for the Great Exhibition of 1851, and features her signature. 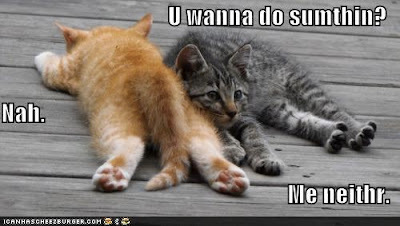 I'm linking to multiple memes this week. We have a house full of family visiting Mr. Dragon and I needed to make life a little easier! Besides, I wanted to stop by and at least wave! Tea Time Tuesday, and Teacup Tuesday! Little Miss Cassie is growing up! She's become quite the lady. Prowling her world which looks like a toddler playground! A big THANK YOU to Misty for hosting Camera Critters. Wishing you well and a fun filled weekend. architecture and design among them. The Arts and Crafts Houses of C. F. A. Voysey. Gillhead, near Cartmel Fell, Lake Windermere, Westmorland, for Arthur Currer Briggs, 1898. Watercolor, 265 x 45- mm. 1943.13"
"A leading figure in the British Arts and Crafts movement, Charles Francis Annesley Voysey (1857-1941) specialized in the design of small country houses for wealthy clients. With their emphasis on ground-hugging horizontality, hipped roofs, brick walls covered with white-painted roughcast, and enlivening splashes of color, these houses were marked by a graceful simplicity and a refeshing freedom from the imitative styles that had bedeviled so much of England's nineteenth-century architecture." "Voysey drew his inspiration from vernacular building traditions and practical considerations that led him to reject overblown decoration and clutter. He strongly believed that the architect should take responsibility for the entirety of a design and that no detail, no matter how small, was unworthy of attention." 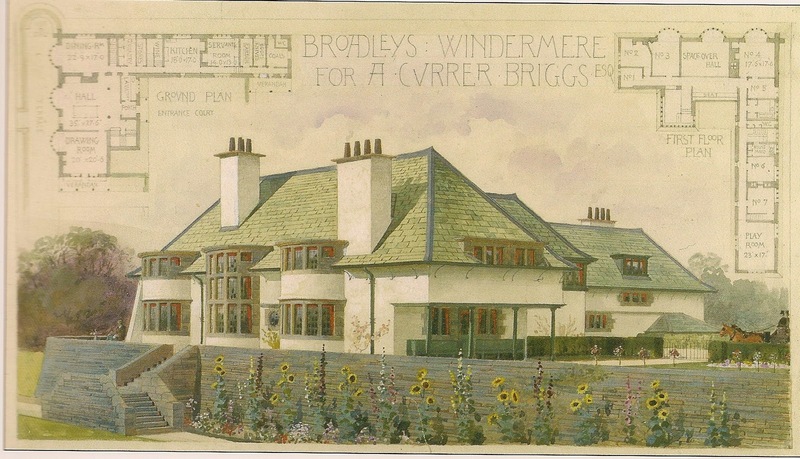 "From 1910 Voysey's architecture was increasingly regarded as old-fashioned and his practice went into an irreversible decline. For the remainder of his life he was chiefly occupied with the preparation of pattern designs for wallpapers and textiles. The 1930's witnessed the rehabilitation of Voysey's reputation. In 1940, a year before his death, he was awarded the Royal Institute of British Architects' prestigious Royal Gold Medal." 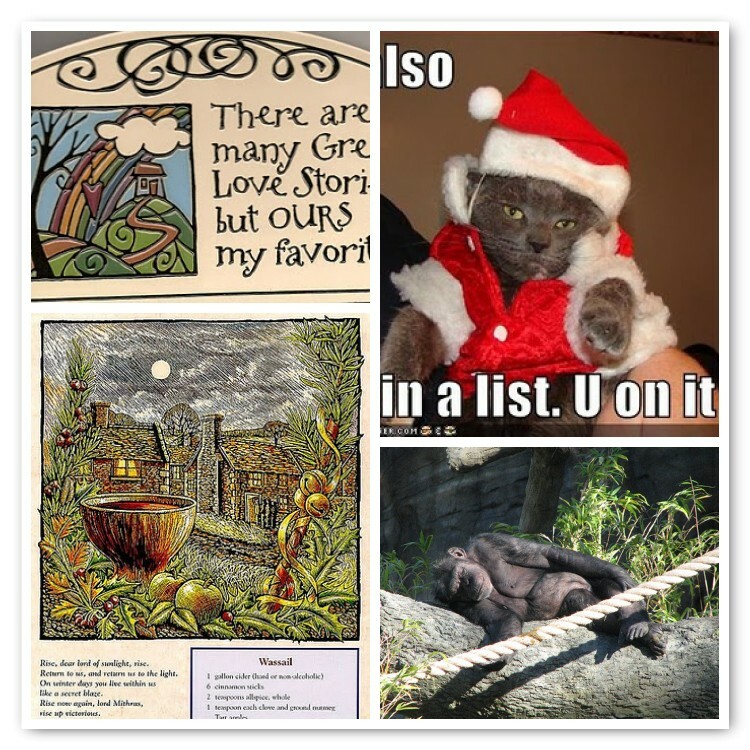 A big THANK YOU to Beth for hosting Postcard Friendship Friday. We are having a mini-family reunion here next week. Lots of folks in and out to visit with Mr. Dragon. I'll try to check in and at least wave! Wishing you well and a JOY and fun filled weekend. I do love LOL cats! The celebration of National Hot Tea Month continues! 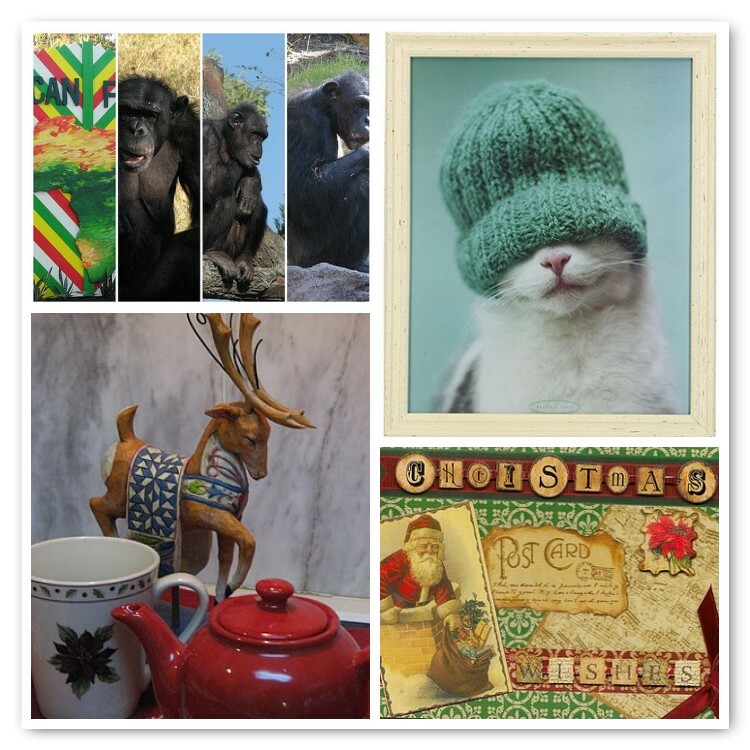 The folks at Favorite Crafts sent out an email with lots of tea related goodies. You can find the patterns on their web site. to celebrate this special month. Mosaic made from images from Favorite Crafts. You can find the patterns for these cozies there. I do love tea cozies. Some of the prettiest crochet cozies can be found at Crochet With Raymond. There are so many lovely tea parties in blogland. Teacup Tuesday, Teapot and Tea Things Tuesday and Tea Time Tuesday. A big thank you to all of our hostesses! Wishing you well, a JOY filled week and a wonderful cup of tea! A taste all its own. And it changes ... sip by sip. We are between family visits this week and looking forward to a little quiet. enjoys food and has enjoyed seeing friends and family. As he says, we will laugh, smile and enjoy life as long as we can. Thank you for your prayers, kind thoughts, white light that you have sent to us. The Houston Zoo opened the new African Forest to the public in December. It is 6.5 acres of fun! This kudu is quite handsome with his stripes and curled horns. Love the tongue and it was one of those surprises I discovered when I got home and looked at the photos. The white rhinos are young... one male and two females. They were born in Kruger National Park, South Africa. and their new home at the Houston Zoo. They seem to love their new home -- especially the mud wallow. complete with an area where visitors to the zoo can feed them - supervised of course. Masai giraffe are the most numerous of the nine giraffe subspecies, but only 90 are exhibited in North American zoos. I hope you enjoyed this brief visit to the Houston Zoo and the new African Forest. Mary for hosting Mosaic Monday. 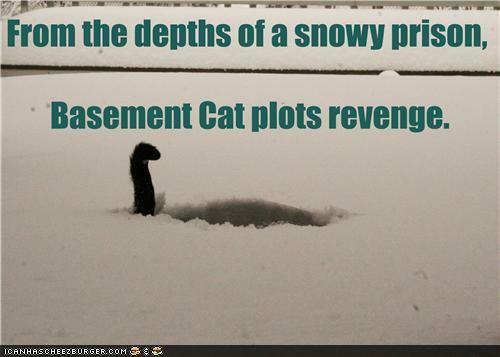 So many of you are dealing with winter issues. this one on Charles Addams. Addams (1912-1989) worked mainly in black and white, using ink wash to great and spooky effect, but he turned out the occasional colorful New Yorker cover. "A three-time college dropout, Charles Addams was nevertheless an erudite, urbane, and - leaving aside his substantial collection of medieval weaponry - evidently quite normal man. 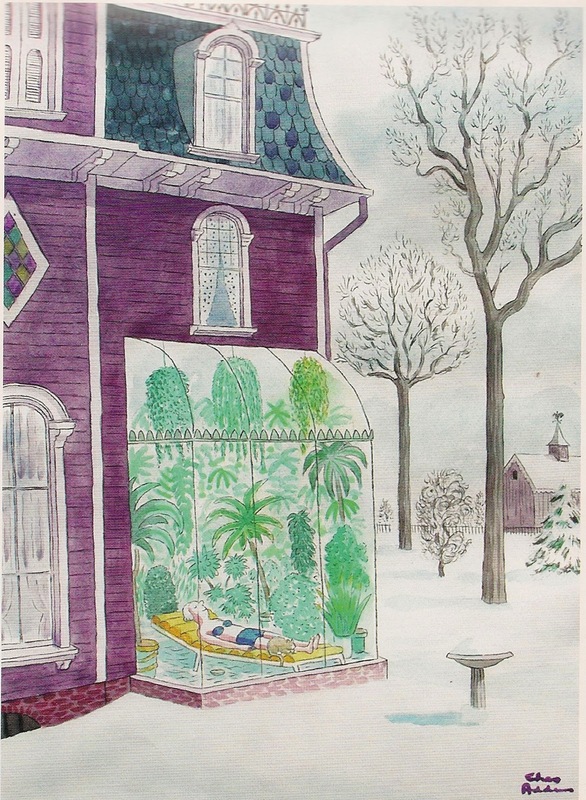 The New Yorker published its first Chas Addams cartoon in the early thirties, and a few years later signed him on as a salaried artist at $35 a week. Nearly all of his 1,300 published cartoons appeared in The New Yorker over the course of a 50 year career. Addams is probably most closely associated with the wraiths, ghoouls, thugs, and toadlike children who populate a desolate Victorian mansion - the characters, initially unnamed by their creator, who became known as the Addams Family. Gomez, Morticia, and their sinister servants and feral offspring gave rise to a silly but fondly remembered television show and two silly and very funny movies." From Chas Addams: A Book of Postcards published by Pomegranate. I'll spend the rest of the day humming the theme song to the Addams family! Wishing you well, a Joy filled weekend, and some sun to warm you! The catalogs keep coming in and I keep looking! I found these fun tea things in the Acorn Catalog. It is fun to let the fingers do the walking and then send the catalog on to recycling! The red pot with the polka dots (I love polka dots) is a tea tower. Dismantled, the tower becomes an 8 oz. teapot, creamer, sugar bowl, and 4 oz mug with saucer. The lavender tea set is white ceramic hand-painted with delicate sprays of lavender. Edges and rims are scalloped. It is a 10 piece set that includes teapot, two cups with saucers, cream and sugar, and tray with handles. I thought the cups with the dogs were fun and it's always good to Keep Calm and Carry On! A book, a comfortable chair, a free hour or two, and your own pot of tea. The ceramic pot is embellished with books, titles, and the names of famous authors. It is 6 inches high and holds 18oz of tea. I think this one may have to go on my wish list! Christopher Hitchens has written an article published at Slate on how to make the perfect cup of tea. There are many wonderful tea parties in the blogging world. Teapot and Tea Things Tuesday are just three of them. Wishing you well and a delicious cup of tea. is like a garden without flowers. I've enjoyed images of Winter Wonderlands posted by my blogging neighbors. I thought I'd show you what my Winter Wonderland looks like. The yellow rose is called Irish Gold and was a cheapy from Sam's Club. It is a wonderful bloomer and is doing well in a pot. Here it is just starting to bloom and in full bloom. There are more blooms to come! The pink is a grandiflora (also from Sam's). Daddy cardinal is a frequent visitor (along with the Mrs). In the upper left corner is the first camellia bloom of the season. The red penta made it through last years freeze and blooms, blooms, blooms. Not bad for a Winter Wonderland! Each is mosaic is different and each has a story to tell. But the catalogs are still arriving! Since I haven't done a "join me while my fingers do the walking through the catalogs"
I thought I'd do one for this weekend. 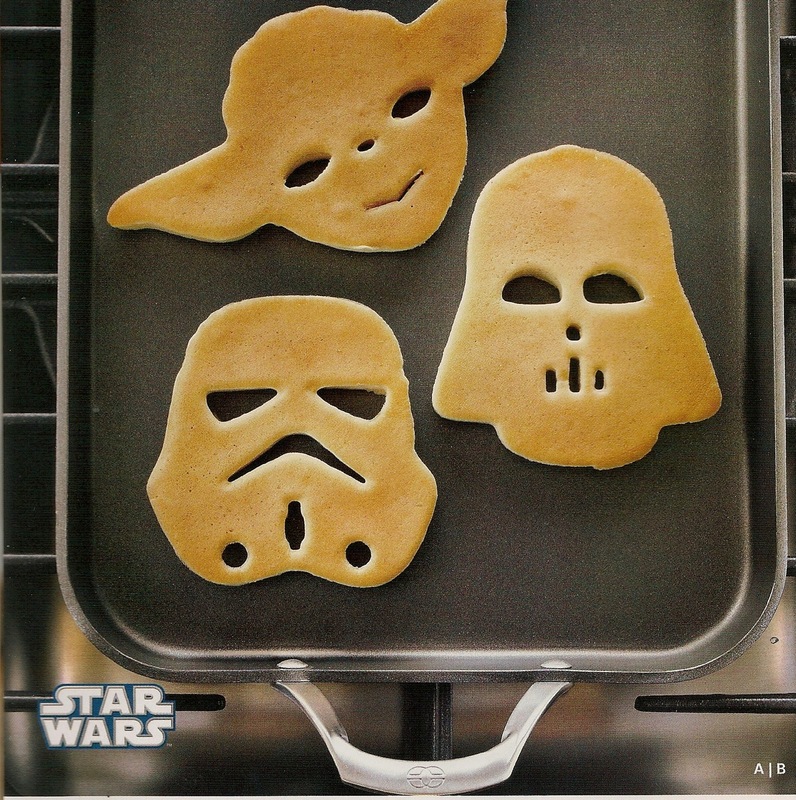 I'm a big Star Wars fan (especially the first three). Yoda pancakes would be fun! This is from Williams-Sonoma Winter 2011. It's the bright white sale at Crate and Barrel. take the blah out of winter. 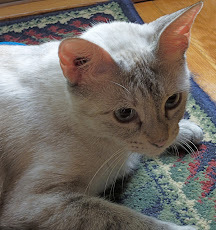 The rug is fun, too. I thought the Max dinnerware at Crate and Barrel was great. 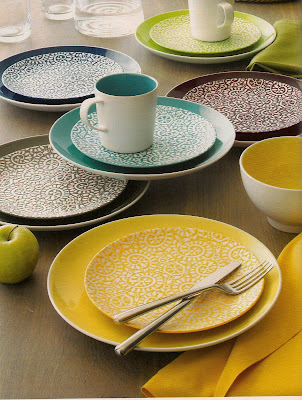 I liked that you can mix the patterned stoneware with the solid Delilah porcelain plates. It was the Pottery Barn catalog that had me salivating. 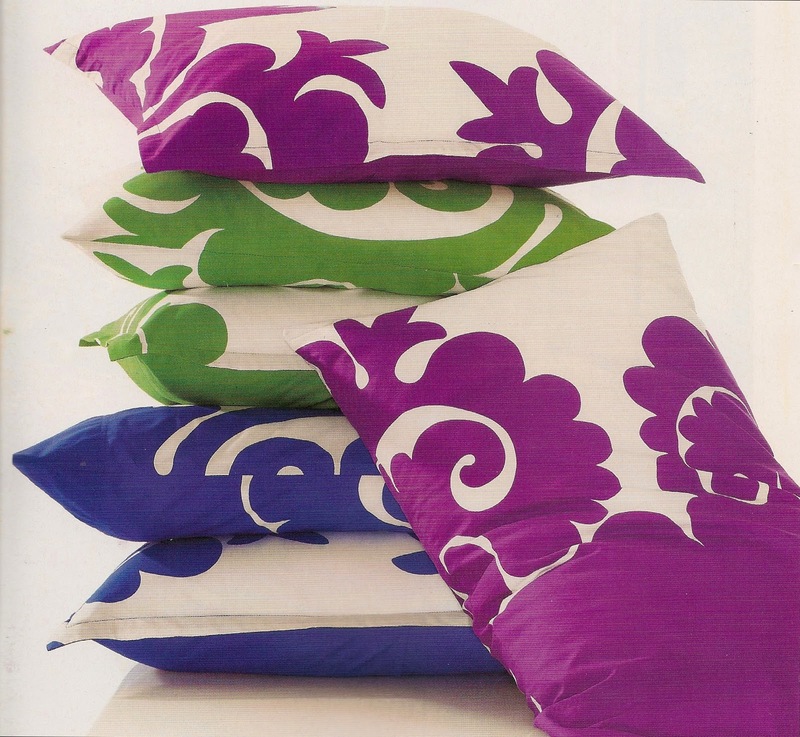 but I'm going to stick with the pillows. These are called Cafe pillow covers. They are designed after antique curiosity engravings. 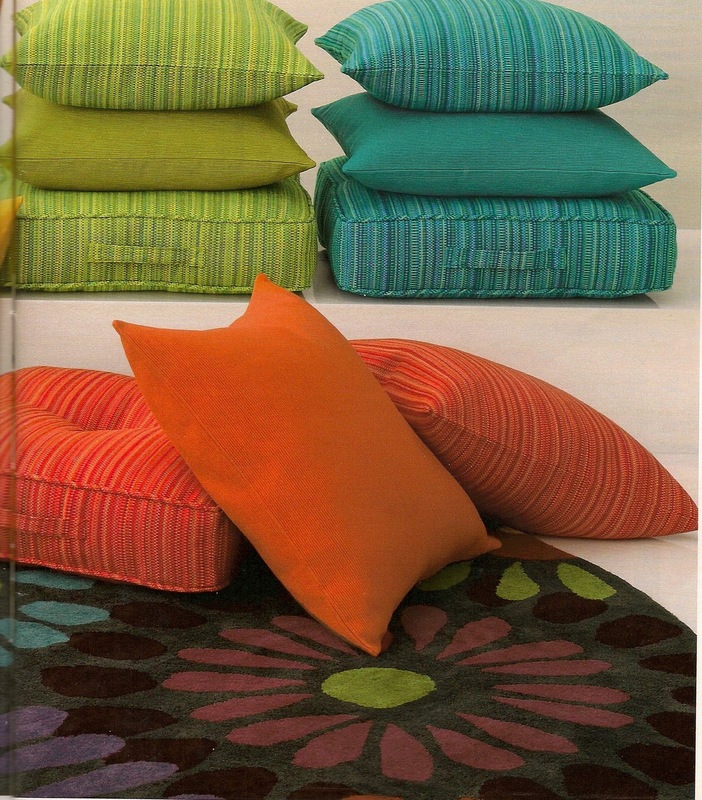 Each reverses to a light shade of the same fabric (rugged linen/cotton). 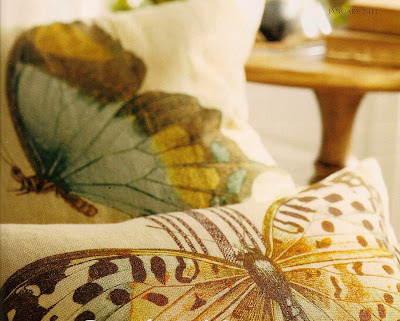 I love the butterflies and there is also a bird and a flower. They are going on my wish list! Do you know about the Isabella catalog? They say they have gifts for reawakening the spirit. 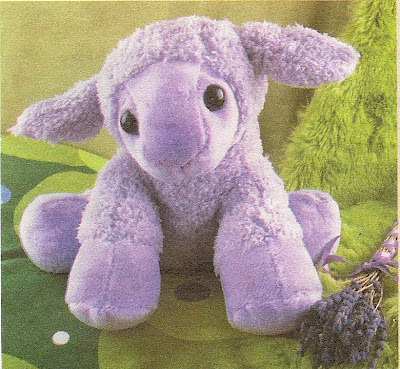 I keep looking at Lovey the Lavender Lamb. 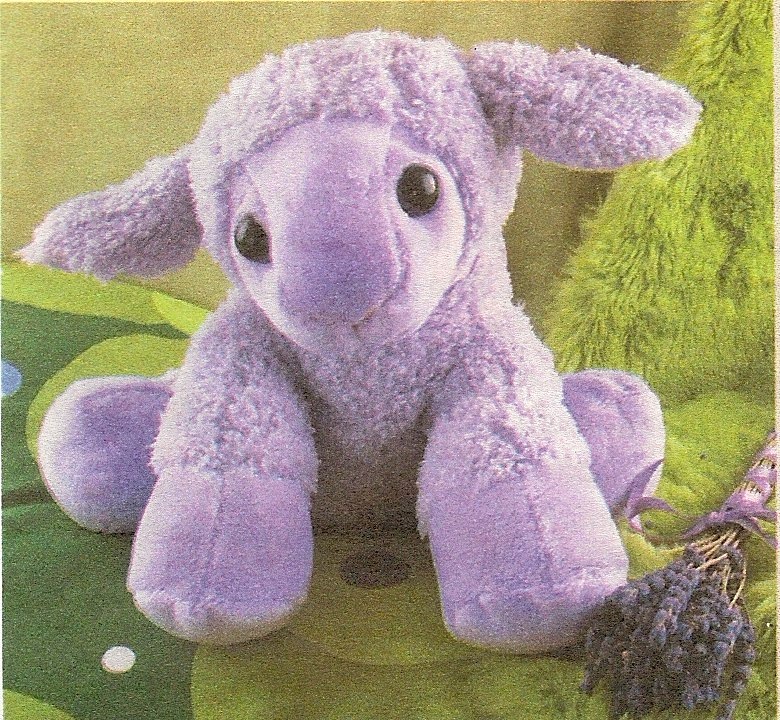 Lovey has a lavender/flaxseed insert that is removable. and then snuggle with him releasing the fragrance of lavender. How about a sleeping pig from Isabella? 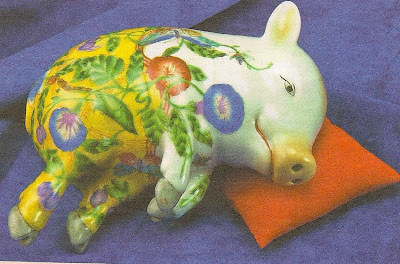 "When the pig was domesticated in China, owning one was considered to be an indication of a common man's prosperity and good fortune. If you were lucky enough to have a pig, you simply took very good care of it, and that meant it slept in the home. Quite simply, if you were wealthy enough to have a pig living in your house, life was pretty secure and happy. In fact, the Chinese symbol for "home" is a combination of the symbol for "pig" with the symbol for "roof" over it. (If there is a pig under the roof, it is a home of happiness, a "home sweet home.")" to bring happiness and good fortune. I hope you enjoyed letting my fingers do the walking through the catalogs! We have family visiting on and off the next several weeks. My posting may be on and off, too. I'll try to stop by and wave! Wishing all of you well and a JOY filled weekend! I couldn't resist this postcard. It is from the postcard book Cat Artist's And Their Work. Museum of Animal Acts in Wisconsin. 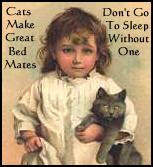 "Cat-marking behavior was trivialized in Victorian times, as this poster shows. "pawtraits" of people in the audience." 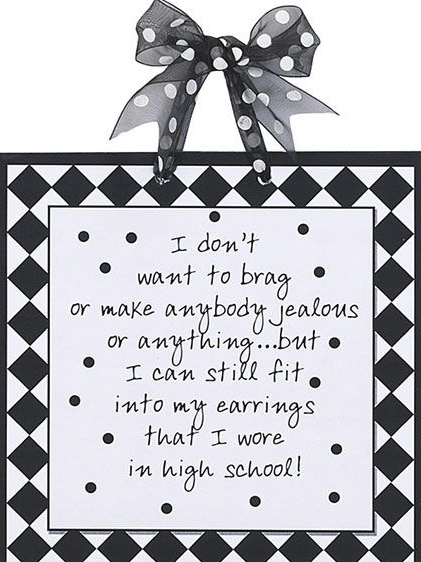 I hope this card brought a smile to your face. Wishing you well and a fun filled weekend! I've been amazed at how busy the blogging world has been since the New Year began. 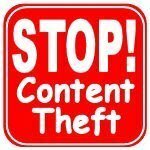 I may never catch up with all your posts. Wishing all of you well and a JOY filled day. Did you know that January is Hot Tea Month? I thought it was the perfect way to celebrate the first tea post of the new year. There is a nice article at About.com on tea and celebrating hot tea month. To celebrate even more, I'm sharing a tea cup with a story. This cup belonged to my godchildren's grandmother. from a Chinese trader. The silk road was still going strong in the 1940's and 50's. This cup is at least as old as I am! Look at the gold edges on the cup and saucer. The gold on the dragon and around the lovely red flowers. The quintessential Chinese dinnerware, Rice Pattern, is named as such for the grains of rice that were embedded in the clay before firing. The intense heat in the kiln destroys the grains and leaves a little translucent "porcelain window" in the final form. This style of dinnerware has been produced in china since at least 960, during the Song Dynasty. A very special gift that I will treasure. Teapot and Tea Things Tuesday. Time got away from me this weekend. I didn't have anything prepared for Mosaic Monday. 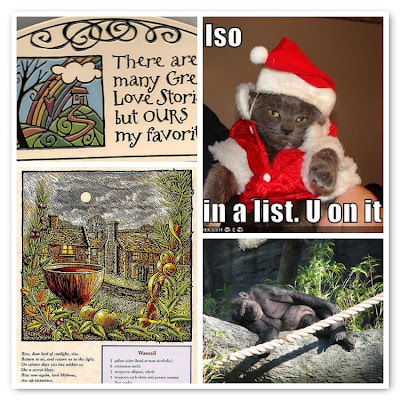 So, I decided to look at December, pick some favorites and share them with you. Wishing you all the best of everything. Mr. Dragon is on oxygen 24 hours a day now and is very frail. He still has his sense of humor and makes me laugh daily. 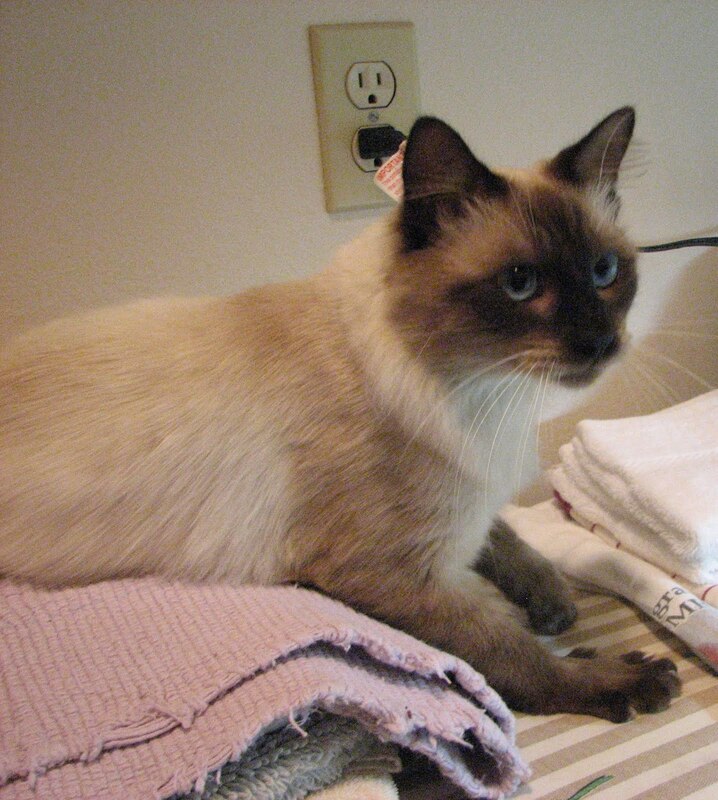 He enjoys visits and telephone calls from friends. We are trying to make every moment count.